You will not be disappointed when hunting the animal that is known as “The Black Death”. They are wild and dangerous to all who challenge them. 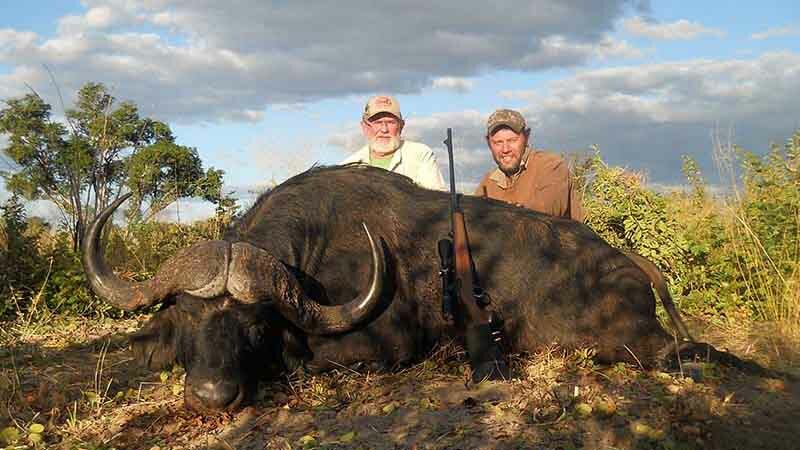 Zimbabwe is well known for Cape buffalo hunting. 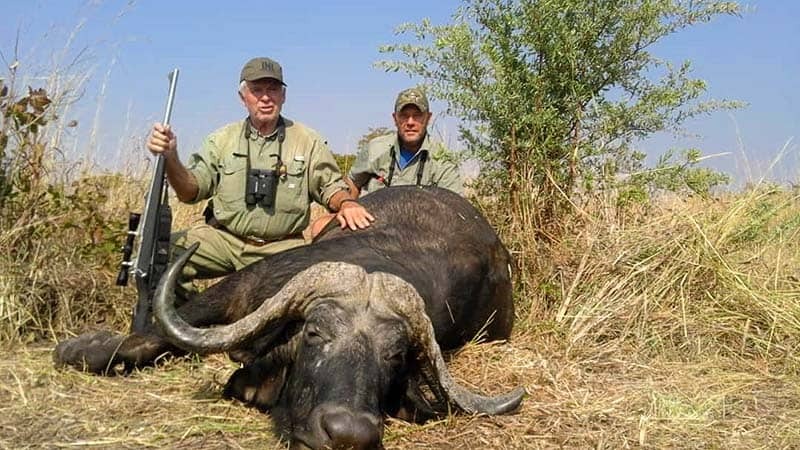 Hunting African buffalo is the most popular of all the dangerous game hunting in Africa. The Cape buffalo is considered by many to be the most dangerous of all of the Big Five. Hence the nickname “The Black Death”. The adult African or Cape buffalo (Syncerus caffer) have very distinct horns. The distinct characteristic is the fused base which forms a continuous shield of bone across the top of the head known as a “boss”. When viewed browsing in the veld in their herds, they appear very docile BUT when feeling threatened, agitated or wounded they can be very aggressive and cunning and have been reported to ambush and attack pursuers. Weighing up to 1800 pounds, these bovines are a formidable sight when charging in your direction and their horns are extremely dangerous in close contact. Besides hippos and crocodiles, buffalo have the reputation of killing more people in Africa than most other animals. These grumpy and dangerously horned wild animals are found throughout southern Africa in both small and large herds. 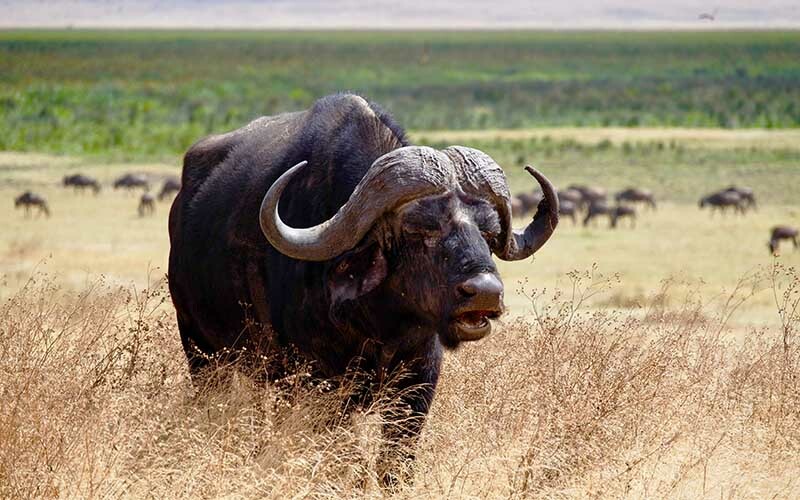 The Cape buffalo thrives in virtually all types of grassland habitat in sub-Saharan Africa. You will find herds in dry savanna grasslands to swampy areas in lowland floodplains to mixed forest regions. The main criteria of their browsing range is an easy commuting distance to water. This distance is generally up to 20 kilometres or 12 miles. 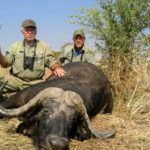 Sondelani, just outside Bulawayo, is well-known for its large herds and you are guaranteed good buffalo hunting in this area. The bushveld is just what these herbivores like and they thrive in the environment. They are best seen during the African summer months when grazing is good – herds can be up to a few thousand in number during this season. During the hot midday hours, they disappear into the thick cover for shade and rest, grazing in the early morning and late afternoon in more open and lightly wooded savanna. These large animals need lots of water daily – approximately 40 litres twice a day. Because of this, they will always be seen at the watering holes drinking their fill after their morning feed and then again in the late afternoon. Cape buffalo hunting takes skill as they are wily animals and provide a good stalk for the intrepid hunter. When being hunted they are known for circling around and counter-attacking. 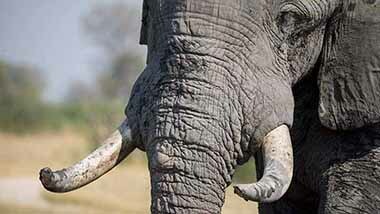 The dangerous animals are generally the older males who live separately from the herd. The older males tend to be solitary or form small groups of up to approximately half a dozen. These animals are more easily provoked into a defensive attack as they lack the security of numbers. 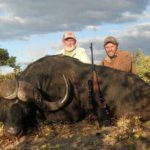 When looking for a buffalo hunt for sale, Zimbabwe offers extensive herds where outstanding trophies are plentiful. The sights and sounds of large grazing herds in the African bush are second to none. With the addition of a high-quality professional hunter – your hunt will be exhilarating and productive.